Trying to be healthier, but can’t give up your fries? We’re here to help. 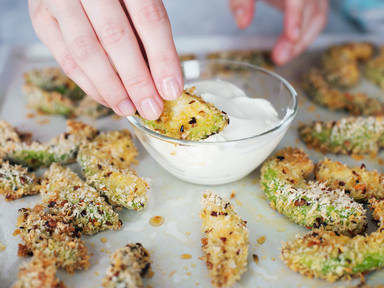 Healthier than French fries and probably tastier, these spicy avocado fries can be made to accompany your meals, or enjoyed as a yummy snack during the day. Coated in panko bread crumbs and chili flakes, you can be sure that these flavorful strips of goodness will definitely satisfy your hunger pangs. What’s more, they’re oven baked, with no deep fat frying in sight; meaning there’s no reason not to try them today… Find the full recipe in the video.